Why do People leave the LDS Church? I have deep roots in the Church of Jesus Christ of Latter-day Saints. My fourth great-grandfather was the first bishop of the church, Edward Partridge. Amasa Lyman was one of my ancestors as well and he was an apostle and a polygamist. In addition, I’ve had many great spiritual experiences within the church and served as a missionary in Frankfurt, Germany and served in leadership positions of the church. If you read my post entitled “How I became a Mormon,” you will know of my conversion story and will know why I chose and still choose to be a Mormon. That being said, I have had my own personal struggles with issues in our church history and our current practices in the church. It has been hard for me to swallow the “polygamy” pill and the first time I went through the temple I was freaked out and had struggles going to the temple for 7 years afterwards. Being raised in a predominately LDS community in small-town southern Idaho, one is raised to think in black and white. For example, the church is true (what does this mean anyways?) and everything else is false, prophets and apostles are infallible, Joseph Smith is the closest thing to Jesus there is, you have to go on a mission, etc. A few years after my mission I started learning more about the history of the church and many things that church leaders have said and done and things in the temple and my faith waivered. I started exploring my personal faith and other faiths as well. I came to the conclusion that I couldn’t deny the witnesses that I’d felt when I read the Book of Mormon and served in the church. After examining other religions, I concluded that although our prophets and church aren’t infallible, they are definitely good. Furthermore, I came to the conclusion that it is o.k. if I don’t know without a shadow of doubt everything there is to know. I do know that I’m happier when I serve in the church and that I feel the Spirit and have felt the Spirit confirm to me on many occasions that many of the doctrines in the church are true. I believe for me personally this is the path that God would have me travel and I’m very grateful for the blessings I’ve recieved as I’ve made the journey. For those who have struggled, or are currently struggling in their personal faith within the church, I can totally empathize. I have seen very close family members and friends leave the church and I don’t blame them or judge them in the least because I’ve had to deal with many of the same issues as well. 2. Why do People Leave the Church? John interviewed people who had left the church for over two years and compiled reasons why people leave. He also addresses what we can do to help those who are on the edge or already gone (and that could include ourselves). Listening to these has helped me very much knowing that I don’t have to have a black and white mentality and also that other people, including Stake Presidents and others have had questions and overcome them as well. In conclusion I would like to emphasize that I know what the Spirit has testified to me throughout the years line upon line and grace for grace. 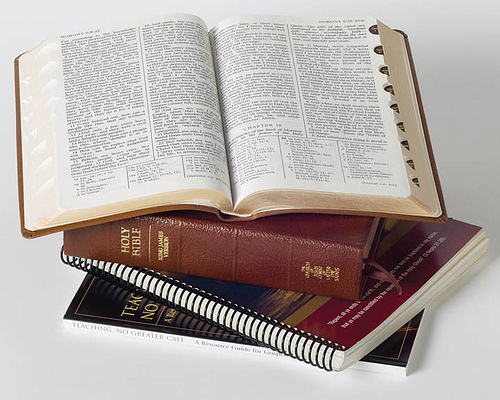 I know the scriptures make me feel closer to God when I read them; I know of the peace I now feel when I’m in the temple; I know that when I serve in the church I feel closer to God and love in my heart grows; I know as I partake of the sacrament I feel closer to God; I know and have felt the confirmation from the Spirit as I pray. I know that I have a ton to learn and am grateful that I’ve had many experiences to help me keep moving forward. It is my hope that this helps anyone who may be struggling. Ah, yes, the first temple experience. I remember mine well. I wonder, did you go through the pre-April 1990 sessions, or the post April 1990 sessions? “Pre” was quite the shocker, while “post” was mellow, in comparison. I can’t imagine that you were freaked out by the “post’ session. So, am I right? Did you get your endowments prior to 1990? I like your comment on living the law of Christ. Whatever we’re doing it should be helping us to 1. Love God more deeply and 2. Love our neighbor. As for answering the question of why people leave the church, you should view the link I included in this post “Why do people leave the church?” It is a guy who did a two year study with people who had left the church and he tells us why the majority of people leave and what we can do to help. This was excellent. Thank you for posting it – I sent a link to my dad. My dad is active, but I have family members who aren’t and I think this would be very helpful. You’re welcome for this. I hope this helps! I think about leaving the Church all the time. No one would believe this from me. I’m active, my family is too. But every time I hear someone say that they remember that feeling of the spirit when. . . Or the spirit told them to . . . Then I think about the feeling of the spirit I got when . . . and it wasn’t true. This wasn’t one incident about the same topic, this happened over about a four year period. I’d hear that still small voice, I’d feel the spirit or what I was taught was the spirit. And now I realize, it’s not going to happen. So I don’t know. Is there no God? Is there a God who is toying with me? The standard answer from the Church is that I wanted something so badly that I convinced myself that something was true and the brain is that powerful to send me those whisperings. So if the brain is that powerful, then I can’t trust it to tell me the truth of anything else. After committing my time, money, talents, and reputation to the Church for nearly forty years, wouldn’t I really want it to be true? So when I pray don’t I hope the answer will be, “Yes the Church is true you haven’t wasted your whole life?” So that old statement about, “Well, you felt that way because you wanted it to be true,” would certainly work for the whole church thing anyway. I’m too old to be this confused. If God wants me in the Church, why doesn’t he clear this up for me? What a beautifully honest, and sobering portrayal of your journey, thank you for it!!! I’ve recently returned to the church, I’ve truly come home. However, it has not been without tremendous prayer! I’ve researched everything about the church, even though I knew so much having been raised in it, and have deep ancestry that goes back to the founding of the church. I think no one is more shocked than I that I’ve come back….and I am now fierce for my Jesus and His Church!!! Thanks for stopping by and your comment. What was it that made you decide to come back? My even considering stepping foot into an LDS church after a 16 yr absence was my children! They all needed more spiritual structure period. My eldest son especially, who is middle school age, he was getting a bit lost in the mix at our non demonational church and really starting to sprout his seeds of rebellion. We have had some difficult family issues his youth group leaders were at a loss with him as well as Pastors. They seemed to not know what to do. Very sad after 8 yrs. We moved and found a new home church and after 6 months it’s better, but his behavior and choices were out of control. (bear in mind he had been going to counseling as well.) I was at a loss and some events at church were the precursor to us ultimately leaving. After 4 months of not attending church and silently suffering from the events that unfolded at this church, a very challenging tweenager, a thought popped into my head “I couldn’t imagine this kid having to sit in an elder quorum” it made me laugh out laugh!!! He’d be sitting there in a shirt and tie prim and proper. Lol. The thought would resurface again and again. Finally I thought “ok your nuts, knock it off”. You see I left the church under very very painful circumstances and I had suffered enormously. My disdain for anything LDS was comparable to Paul / Saul in his persecution of the early church. I felt my ancestors had fought and died for the church for a lie! Lord Jesus help the missionaries that came to my door because I ran them up and down the Bible to show them the errors of the doctrine, seriously. (I had gone to Bible College too.) So there was zero explaination why I found myself at a church bookstore buying a Book of Mormon! That I had spoke to the Branch President the next day, who by the way was as born again as I am!!!!! And that Sunday we attended church. Wow! I couldn’t even fathom that I was there. That was February 2012. This has been a very intense journey, but it’s been a journey that the Lord has ordained. In my own thoughts and heart I would never have returned, but if Jesus Christ bore my sins at Calvary, then healing my wounded heart probably isn’t too much of a feat! He rent my stubborn veil in two and I was rebaptized April 6th 2012! The day I bought my very first Book of Mormon 25 yrs earlier, also the founding of the LDS church, Good Friday, and the first night of Passover!! Baruch Hashem (Praise God). I am truly home, I am beyond blessed, my children, well we’re getting there. I have never and I mean NEVER been involved in any church whose chief desire to help me in raising godly children. My branch is the Lords gift to me as a Mother (single Mother)! My rebellious son is now expressing a desire to be baptized! Thank you Lord for everything, but most importantly You, Father and Your Church! Amen. God bless you all out there. Thank you for sharing your thoughts. I know this is something many people struggle with. If I understand you right, your main concern is that you are having a hard time discerning answers to prayers. Read through this and let me know what your thoughts are. Ahh, yes. John Dehlin. Of North Logan. I know him and his podcast well. He seems like a guy that really TRIES to be honest, but in all honesty, I think he more just plays the game that the church would want him to play. That being, trying to give the church’s standard “reasons” as to why most people leave the LDS church, which the church’s PR people have said are mostly because someone was either embarrassed at church, or insulted in some way, or turned off by a rude bishop, etc., etc., which is to say “it’s the people, not the institution itself”, which to me is total malarky (which isn’t to say some people don’t leave for such reasons, but most of those people simply go inactive for a spell, rarely do they go to the trouble of removing their name from the church’s records, therefore they are still counted as members). I, and most former members like myself that I know personally, didn’t leave the church due to its members or a bad experience. I left because I simply determined it isn’t true. I tested my faith as instructed in Moroni 10:3-5, and the tests confirmed to me that it wasn’t true. Actually, that test confirmed that the Book of Mormon wasn’t true (this was during my mission in Germany, which I did finish… talk about some serious cognitive dissonance), then everything else crumbled after that. Further leading me to determine the Bible’s invalidity as well as all “scripture” of other faiths, leading me to my current agnosticism. A nice article with some interesting comments. I will check out the links listed in the article…..thanks for sharing. Zeezrom, I find that John Dehlin says many people leave because they”care too much”. They learn troubling things as you do, and don’t have anywhere to go. Most bishops are not trained to deal with church history, leaving members to go to anti-mormon sites. If you’ve followed these more closely, you learn that John was a seminary teacher in Seattle, and became troubled by peep stones, polygamy, and the like. He considered leaving, but stayed with it. I think you and he have a lot in common. Cristina, I’m curious. What would a Reform Mormon movement consist of? What do you have in mind to reform? Reform Mormonism, besides holding a special place for Guinness, would retain the central teachings of traditional Mormonism, but would discard the outward trappings of Orthodox Mormonism. So, for example, a Reform Mormon would believe in the eternal nature of families and love, but would not go to the temple. A Reform Mormon child would still sing songs about trying to be like Jesus, but would not be taught that Lamanites=Native Americans. No one would be called upon to proclaim that they “know” the “church” is “true,” though they would be called upon to pray in the way we have traditionally been taught as Mormons. And yes, I’d get rid of the Word of Wisdom. I feel like it’s more a foundation for pomposity and self-congratulation than anything else. Also, I like coffee. On the topic of NOM, the church doesn’t look too favorably on them. They’re considered “apostates” for the most part, therefore, many of them keep their opinions to themselves, for fear of how their bishops or fellow ward members may treat them or other repercussions, i.e., excommunication, disfellowshipping, etc. When I entered the mission field in Germany there had just been a huge NOM fallout in the Bremen ward. About half the congregation were NOM, many of them wrote for the German version of Sunstone. My mission president got involved in the fiasco. Some of the NOM simply left, some were punished by being disfellowshipped, some were ex’d, some retained their “callings”, but were watched carefully. It was quite the spectacle. Cristina, I think it is true that you can be Mormon on your own terms. The biggest trick to doing that though, is recognizing that the guys at the top don’t get to define what being Mormon is. You do. ZeeZrom points out possible repercussions of that route such as disfellowshipping or excommunication, but in reality, those weapons are fairly rare (pretty much only when leadership feels threatened), and more importantly, they are weak anyway. That weapon only hurts if you let what it means to be Mormon be defined by the guys at the top. Enjoy your Guiness! Your concept of how you view Reform Mormonism is in my opinion how Mormonism was when it originally started. In fact, I believe I read somewhere (I think it was on John Dehlin’s site) that Joseph Smith had a drink of wine the night before he was killed. Also, at that time the church was very young and I’m not sure how many people had been through the temple or how much emphasis was put on the temples, etc. The thing about the LDS church is that it is always changing. Depending on whose perspective you listen to that can be seen as good or bad. Good in the sense that the church is “true and living” as stated in D&C and if something is true and living it will evolve. Bad for those who do not like change. How can one accept modern-day mormonism? One must have a testimony of not only the goodness of the church and the Book of Mormon, etc. but one must have a testimony of the modern-day prophets and leaders of the church. So the question that comes into play is whether or not it is important to have this testimony or if we’ll be fine without it? It is our decision and up to us to decide to take the steps to know if the direction the leaders are going in are true or not. If it is true then we must figure out how to align our desires up with the “will of God” so to speak if in fact they are inspired men of God. If it isn’t true then we can either live our own form of Mormonism or join another church or organization that doesn’t have these stipulations. Personally I believe that things such as the Word of Wisdom and temples were and are inspired of God as I have felt the confirmation of the Spirit on these matters. Can I say I always felt this way? No. Can I say I believe and embrace everything that has ever come out of the prophet’s mouth? no. What I can say though is that I have learned step by step to the extent that I’ve been willing to learn. While you may be right in some instances with church leadership using excommunication as a “weapon” or when “they feel threatened,” I think that is a very generalizing statement and in my opinion something that happens in the minority of cases. From my experience in church leadership (which is limited to only seeing 2 excommunications), and from what I’ve heard from friends and family in leadership positions, excommunication is something that is a spiritual experience if the individual allows it to be. I had a very spiritual experience with a repentant person who had just been excommunicated. I believe that it is a part of the repentance process and church leaders don’t use it as a “weapon,” but as a remedy to help the members. Perhaps leadership felt threatened by this in this case, but one thing with this case that is definite is that Clamborn doesn’t appear to be penitent. He appears to be trying to council the leadership. This is a perfect example of why it is important to have a testimony of leadership and humility. As I listen to Clamborn vs. most people I’ve seen in leadership positions in the church there is a very big difference in the Spirit they carry. I didn’t get the feeling that Lamborn was trying to council them. He simply told his story and what led him to his conclusions about the church and its doctrine. He seemed plenty humble to me. Penitence wasn’t the issue. Mr. Lamborn didn’t feel he had sinned, so what was there to be penitent about? Is gaining knowledge contrary to church teachings a sin? The fact that he was stating things that don’t agree with the church and its typically white-washed history, doesn’t equate him trying to council the leadership. In my humble opinion, of course. Both you and I are entitled to differing opinions on this and that’s fine. All I know is that from my brief exposure to an excommunication from a leadership perspective it is something that isn’t taken lightly or as viewed as a personal threat, etc. Like I said, maybe in this case the motives were otherwise, but I’m not the judge. Reform Mormonism exists. It is a home-based religion, founded in 2002 and registered in the state of Washington as a legally organized religious movement. Reform Mormonism focuses on the individual and the individual’s Eternal Progression. Reform Mormons have ordinances (such as Blessings, Endowments, Sealings, etc.) which they celebrate. There are numerous websites created by Reform Mormons. (You can find links to many at the movement’s central websitre, listed above. You can also Google the words “Reform Mormonism” to find many of them. I converted to Reform Mormonism in January 2004. Many Reform Mormons converted without ever having been LDS, RLDS or FLDS. Most of them came across Joseph Smith’s teachings in their reading, were impressed by many of the principles he taught, but upon investiagting the LDS Church, simply could not take it claims (or its authoritative, legalistic approach to religion) seriously. sorry for my bad english, im from germany but I first wanted to say that I really enjoy this web site. Im a former meber of the church . I left the church a view years ago . The only thing I want is to really live with Jesus and have a relationship to him. On my mission I had a hard time because there was so little from jesus. It was about number number numbers rules rules rules. For me it is amazing to see that there is a diffrence between to be religious, to live christianity, or to live a alive relationship with God . I know that some mebers do not understand me and I can hardly express what I mean. my life change because of him the only true and livivng God. I do not focus on keeping the rules and all what the church requiers. Out of my love to God and because jesus live trough his spirit in me I do the right things. I left the church because I didnt want be religous. There is such a huge diffrence. Thanks for this side. Thanks for visiting the site. I like what you say about not focusing on Jesus enough b/c I think we have a tendency in the church to get caught up in all the activities, etc. and not focusing on the relationship with the Lord. How do you think we could combine being active in the church, yet still having a relationship with Jesus? Hey sorry it took sooooo long to repley to your comment. Well i think it would be great to combine both livivng a relationship to jesus and being a memember of the lds church. I actualy been to a lds church service last week. The Elder sit by me during the service nad we talked before the service started and ask a couple of question. So it old them why i left the church. i ask them to watch out how much about jesus they could find during the sunday service. Well it was sad because the talks where only about relief society and the organisation. Not one talk about our savior. What can i say? I will go this sunday again to be fair. I meet with the missioanries recently and we talk a lot about doctrine and church life. We talked also about rebaptism and what i have to believe in order to be a memeber of the church. There is much more you have to believe in besides jesus, to me a mormonen. I read 3 Nephi 11 and i thought it is intresting that jesus doesnt ask for much than to believe ,repent and live with him, to do what he wants us to do that is to love others, to be honest and so on . Hello. I recently fell upon your blog and thought this was a very well written post. I left the LDS church in the fall of 2007. I officially resigned from the LDS church in August of 2008. I am my lovely children enjoy fellowshipping with other Christians at a local non denominational church here where I live. My husband continues to remain active LDS. I left for various reasons, but the biggest reason was because I wanted a more personal and intimate relationship with Jesus. I did not feel the LDS focus on Jesus much, they do a great deal of focusing on the temple, commandments, prophets, book of mormon, missionary work, etc. but very little on Jesus. I also read the Bible cover to cover and studied and researched it’s history. Amazing book. I did not find it to be ‘mistranslated’ as I had been taught while LDS. I came to realize grace works. It is by grace I am saved. I am a sinner, and I need Jesus badly. For me it’s not about grace + all you can do……. it’s about grace, the blood of Jesus, the Lamb. I continue to love my LDS husband and friends, and have no regrets or bitterness about leaving. My heart aches for many LDS because they are not what I believe getting fed spiritually of living waters and the bread of life. My heart yearns to share with them the good news that what Jesus did on Calvary is enough. I am happier and more at peace than I ever was when I was LDS, but the burden to share the good news of Jesus with my LDS family & friends is there. I hope it’s ok to share this here. Good to hear from you again! i didn’t tell you, but I served my mission in Germany. I went to Frankfurt and lived in Saarbruecken, Heidelberg, Nidderau-Windecken (Hanau), and Hoechst. I loved it! You’re right about a lot of the meetings in church and I’m sorry that you’re having that same experience about them not talking about jesus enough. 1. What is it that has you looking into the church again? 2. How would you feel about praying for the speakers in church to have the spirit of Jesus with them and also for yourself to be open to be taught by the spirit? was für eine Überraschung, haaa!!! Also wenn du magst müßen wir uns mal so schreiben. Ich bin gerade in Darmstadt und war vorher in Giessen.Wann warst du hier? hmm vieleicht haben wir gemeinsame Freunde. Bin auch hier zur Kirche gegangen. Warum ich wieder gehe? Weil ich alles nochmals ueberdenken will und weil ich reflektieren moechte ob die Gruende meines Austritts fair waren. Auserdem mag ich die “religioese” Kultur. Unglaublich aber wahr ich hatte einen richtig guten Sonntag, tolle Gespräche und war ueberrascht. Also es hat sogar Spass gemacht. Gebete sind immer gut. Ja ich bete das ich nicht verurteilend bin und habe angefangen einfach auch waehrend der Ansprachen noch meine eigene kleien predigt zu schreiben. So now in english, much harder to say the things. Also i go to church to rethink the doctrine and refelct my own thoughts and if i understood mormonism right and if the reason why i left are right. I been to church this sunday and it was to my surprise realy good. I enjoyed going there, and i had great talks. I realy enjoy it. And yes prayers are always good- I started to write my own little sermon during the service so i do not get bored : ). Ich versuche auf Deutsch zu schreiben. Ich habe kaum gelehgenheit zu schreiben bzw. sprechen. Hoffentlich machts sinn was ich schreibe. Since you seem to have some personal experiences I’ll write to you directly with some more questions just so you don’t have to share things publicly if you don’t want to. A quick study into the nature of demons, fallen angels and beings of light may shed some answers on why the spirit testifies so strongly when you are most ready to start leaving or questioning the church. Yes, you are being toyed with but not by the right beings! Thanks for your concerns, but I’ve felt the presence of demons and it is nothing like what I’ve felt when I read the Bible and Book of Mormon and when I pray. There were other doctrinal reasons and contradictions, but these seem to stand out. I believe in God and His Son Jesus Christ. That Jesus died for mine and humanities sins and that if we believe and trust in Him (Jesus) for salvation we will be saved. John 3:16. I believe the LDS is full of people who have good intentions and live as best they can following the rules (commandments, words of wisdom, etc) I have friends who are members and I don’t speak bad about the church, but I do have strong convictions. I have always wanted to know the truth and have always sought after that. I still read, pray, and attend church daily. While I cannot say, I am sure which church is 100% correct in all their teachings, I do believe that more than anything what matters most is our belief and relationship with our Lord Jesus Christ, to accept Him as our Savior and seek to follow His example and live our lives as He did. You bring up many points that I have also considered. There are many things in the “deep” LDS doctrine that really don’t pan out or make sense. What does make sense to me is the gospel of Jesus: repentance, faith, forgiveness, love. I also know that the Holy Ghost leads and guides me in my life when I stay in tune and listen. There are many things in the LDS church that don’t make sense, but there are also many things in other churches that don’t make sense either. I therefore choose to go to the LDS church but do not condemn others for choosing a different church. In fact, I feel they can be just as blessed as anyone in the LDS or no church at all can be blessed. What matters is the relationship with God, as you have suggested. This is not so much about why people leave as why they might not join. My family and I spent several weeks in Utah this Summer and visited Temple Square. I took my family over to see the film on Joseph Smith and I have to say-I was deeply offended by the way it portrayed evangelical Christians in this movie. How could the church release such a movie is beyond me. All it does is reinforce the old “circle the wagon train” mentality that is too much a part of the LDS DNA. Truth be known-LDS did some of the same type of acts to the “Gentiles” that they portrayed happening to them in this movie. It is time to turn the page and move on. The film was a blemish to an otherwise nice visit to a very pretty place. Even my sons saw right through this film. I don’t think I’ve seen the new one. I haven’t been to temple square in years. Sorry you were offended by the film. So you’re saying that when the LDS portray other Christians in a negative light that it turns them off to the LDS church when they otherwise would look further into it? That’s a really good question. I’m not sure how to answer it! How this film portrayed the other churches is probably pretty much in line with the restoration story. When they weren’t tar and feathering the Latter-day Saints they were fighting with each other over minor doctrinal points in this movie. I believe the Church needs to show other churches in a less than favorable light as it reinforces the need for the Gospel to be restored. At the same time it attempts to show itself as a Christian church not so terribly different from traditional churches-quite a tight rope walk (I saw both thoughts expressed in this movie)! This film focused on the sad state of the church and the need for Joseph Smith and the restoration but did it in such a way that it painted Christians and their churches as either evil or confused. It was simplistic and inaccurate. What draws people to the LDS church is their family friendly niceness. Attacking other churches is not a drawing card-besides: those who live in glass houses shouldn’t throw stones. I appreciate your perspective. At the time of the restoration, I think at least the churches that were involved with the early Mormons reacted out of fear and I think there were probably a lot of things that were pretty accurate in the film you watched. However, you watched the film from an LDS or Mormon perspective. If we were to flip it around and watch a film from the perspectives of the Christians who were involved with the early LDS at the time, I can see how they would have been highly annoyed by the huge influx of Mormons moving into their territory and proclaiming they are the one true church. I’ll bet some early Mormons (and current ones) were arrogant and prideful in their approach as well. I also know that there were some groups of early Mormons who even further aggitated fellow Christians by retaliating against Joseph Smith’s orders, which fueled the fire even more. Perhaps if the movie had shown not only the LDS perspective but also the other Christian perspective it would have not only been more accurate, but easier for Christians to understand. In order to do that though, there would need to be other Christians involved in making the film rather than just Mormons. I’m not sure which audience the film was intended for. I assumed it was mainly as an evangelistic tool however many in the theater seemed to be deeply moved by this film-I assume most were LDS. As my family left several missionaries approached my wife and told her that everything in the film was true. I really can’t imagine the Church consulting other denominations to get their input-that would truly be amazing. If you are somehow able to see this film-let me know what you think. The one line that was truly memorable was when the father of a convert, after just missing seeing Joseph Smith for the first and only time time (he was riding to Carthage) said “You don’t have to meet a prophet to know if he is a prophet.” That line has stayed with me ever since. I sort of feel like I am the only sane person in my world. When I try to talk to friends and family about what disturbs me about lds church history they just bear their testimony and refer me to Mormon apologists (which don’t have any convincing arguments to me) or they give their own ridiculous explanations. They treat me like a fallen person even though I still attend church and do my calling. I just feel totally alone and like everyone else is crazy not to see what I see. Maybe I’m crazy. I feel totally alone. My husband is my worst critic. I think you pretty much hit the nail on the head. There’s no stopping people from having doubts. As people learn and question and grow, they’ll develop doubts. It’s inevitable. But people in the LDS church set up this rule that you must know beyond a shadow of a doubt, and that true faith means knowing for sure, you’re just setting up people to fail. They’ll think there’s something wrong with them when there’s not, they’ll think that any small doubts they have puts the whole thing into question when it really doesn’t have to mean that. I had 2 different reasons for leaving the lds church. The first was that I was 23 years old and unmarried. Bishop called me in and told me that he had prayed for me as I was “old” not to be married. He suggested that I date Brother so and so, who I didn’t like at all. I thought that it was very strange that I was an “Old Maid” at 23 years old. It made me very uncomfortable to be thought of that way, but I stuck it out. My second reason was a lack of the bishops support in general. I was a teacher for the 10-12 year old boys. I had one student who was very disruptive. His mother (a dirty woman with 3 kids by 3 different men, always with a filthy bandage on her swollen, flaky legs, who did not pay tithe, but received welfare), would allow him to bring action figures, but never scriptures to church. He would start playing in the classroom, slamming it on the desks and have dialogue with it. I would tell him to please give me the doll until the end of the class. He wouldn’t. The kid went to his mom and told her that I was abusing him, the mother went to the bishop, who called me in after sacrament service and didn’t even ask me what happened, but pointed his finger at me and accused me of abusing this little turd. I tried to explain that the kid was playing with this doll in my classroom, but couldn’t get a word in edgewise. This was the last straw. I left and never went back. This church, just has some wierd personalities. I think of going back ocasionally, but really? NAH! People will always let you down. Don’t build your testimony around Bishops, Apostles, Prophets…build it around a testimony of the gospel of Jesus. Jesus is perfect. People aren’t. She wasn’t actually explaining how she lost her testimony. In fact, she never said she lost it at all; she may still have a testimony for all you know. She was explaining why she stopped participating, and her reasons were that it put her in a position to be treated very badly, with now power to stop it. Your suggestion here is rather rude, basically telling her, “Well it’s really your fault, because you didn’t do it right. You were supposed to put your faith in the gospel and Jesus, not in people,” when in fact she didn’t say anything about what or who her faith was in. She said that her experiences of participation led to her being abused, so she decided to stop leaving herself open to that abuse. To dismiss her experiences the way you did is disrespectful, and definitely unhelpful. Hi. My name is Tammy. I was and always will be a born again christian. Jesus is the only answer. He took our sin on the cross and rose from the dead. I am his daughter. The holy bible is the only book we need to help guide us. Not the book of morman. I hope those who leave the Lds will have others see this. I asked mormans why they use the book of morman more then the bible. No answer. Jesus is the way truth and life. Not the book of morman. We are saved by his grace,mercy,and forgiveness!!! The book of morman uses some scripture in it as well as its own version. The bible says you shall not add or take away from the bible! Think about that. Thats what happened with the book of morman!Other religions as well. Its only about Jesus. Not the physical but spiritual things of Jesus. They need to teach about the RELATIONSHIP with JESUS. Nothing else. FORGIVENESS of SIN. MERCY and PEACE that PASSES ALL UNDERSTANDING!